BidStork, which was launched in 2006, is a web-based application that creates, delivers and manages hotel requests for proposals (RFPs). It allows travel professionals to quickly and easily assemble an NBTA-compliant RFP package through an online RFP wizard. Additionally, corporate travel buyers can source and map hotels in proximity to relevant travel destinations, deliver the RFP package, interactively negotiate rates and create final contracts — culminating in a best-in-class online hotel directory that clients rave about. Sabre Holdings connects people with the world’s greatest travel possibilities by retailing travel products and providing distribution and technology solutions for the travel industry. Sabre Holdings supports travelers, travel agents, corporations and travel suppliers through its companies: Travelocity, Sabre Travel Network and Sabre Airline Solutions. Headquartered in Southlake, Texas, the company has approximately 9,000 employees in 45 countries. Full year 2006 revenues totaled $2.8 billion. 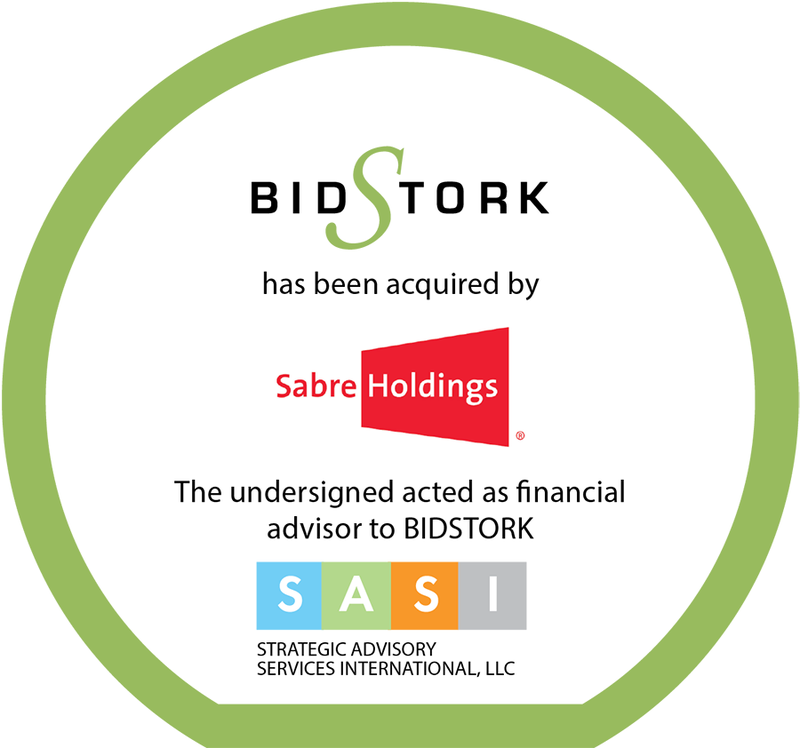 SASI had a close relationship with a BidStork investor who made the initial introduction to the company. It became clear that SASI could add value through driving the M&A process and providing guidance to the founders as they navigated multiple options and deal structures. SASI drove the process from identification and selection of potential strategic acquirers through due diligence and final negotiations of the purchase agreement.